It has been almost 6 years since Apple launched the iPhone. The iPhone was priced at $499 and $599 for the 4Gb. and 8 Gb. version respectively. It was not until Apple reduced the price of the iPhone to $199 that sales increased dramatically. Essentially, Apple set a standard for the price point for future smart phone offerings. In 2007, Samsung too had a smart phone portfolio of Windows and its proprietary OS. Most of these smart phones were QWERTY based and Samsung was trying to take share from Blackberry with it’s Blackjack device. It was the first 3G phone in the US and yours truly enjoyed the blazing fast internet speed on my Samsung Blackjack. It was not until the Summer of 2008 (a full year after the launch of the iPhone) that Samsung launched an all touch Samsung Instinct on Sprint. The phone had limited success in the marketplace. Eventually, Samsung embraced Google’s Android operating system and launched its Android portfolio in late 2009. These devices supported a QWERTY and touch interface. Like the Instinct, these devices were marginally successful. 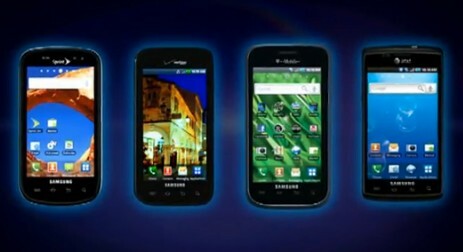 Samsung’s struggled with its smartphone strategy until the launch of the Galaxy S in the summer of 2010. The Galaxy S when compared to the iPhone offered a bigger screen, a higher resolution camera and a replaceable battery. Moreover, Samsung capitalized on the success of the Galaxy S by offering 4-5 variants of the device and simultaneously launching the Galaxy on different operators. In January 2013, Samsung announced that they had shipped a total of 100 million Galaxy devices since launch. Moreover, Samsung has shipped numerous other models of smartphones based on the Android OS. For instance, In the UK and USA, Samsung offers 46 and 63 smartphone respectively. 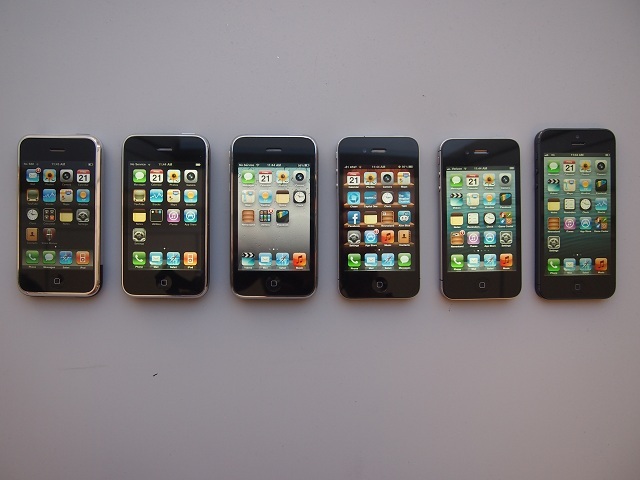 Since launching the iPhone in 2007, Apple stuck with its mantra of “simplicity” and “elegance.” It’s smartphone’s were exactly the same across the different operators. It has made significant product design changes effectively every two years barring the redesign of the second generation iPhone 3G launched in 2008. Unlike Samsung, since 2008 Apple has offered the iPhone in only two colors and it only sells the current year model and the previous two years model. Moreover, in the US, Apple did not add another operator (Verizon) till 2011. However, Apple has leveraged its approach to design, iTunes ecosystem and the App store to sell roughly 250 millions iPhones to date. Personally, I would have liked to see Apple take the same approach to its iPhone family as it took to iPod’s – offering various models to its customers. It should have started offering choices in screen sizes in 2011 and it may have had a stronger market share. There is much speculation about a “cheaper” iPhone launch later this year. It will be interesting to see how the product is perceived in the market place. In summary, Samsung has to be congratulated for executing and delivering on its strategy with not only its Galaxy family but also its other smartphone offering – especially since it launched its portfolio three years after the iPhone was released. Apple had virtually no competition for the first three years since the launch of the iPhone. Did they get a bit complacent based on its initial success? I have to guess, “they did.” Both companies have dominant market share in the smartphone segment and have developed a loyal customer base. Various reports indicate that Samsung won the crown for market share based on unit shipments and Apple won the crown for share of profits.